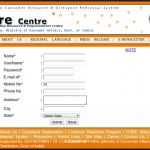 How to file consumer complaints online in India? Published on March 15, 2013 in How To. 0 Comments Tags: consumer complaint, online complaint, online consumer complaint. Published on March 14, 2013 in How To. 0 Comments Tags: income tax status online, itr-v status online, itrv status online. Published on March 14, 2013 in How To. 0 Comments Tags: get online ngo, ngo details, ngo details online, ngo funding, ngo information, ngo online. How To Watch Live IPL Matches Online; Book IPL Tickets Online? Published on March 14, 2013 in How To. 0 Comments Tags: book ipl 2013 tickets, cricket, indian premier league, ipl, ipl 2013, ipl 2013 matches, ipl cricket, watch ipl 2013 online. 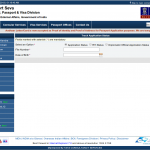 How To Track Passport Status and RTI Status Online? Published on February 21, 2013 in How To. 0 Comments Tags: check rti status online, passport, passport status, rti, rti act. 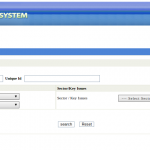 How To Check Aadhaar Card Status Online? Published on February 19, 2013 in Guides and How To. 0 Comments Tags: aadhaar card status, aadhar card status, adhar card status, check online.